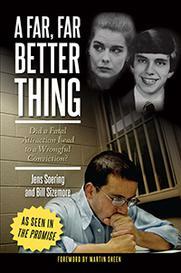 I have been in frequent contact with German citizen Jens Soering since I was first introduced to him several years ago. Today he is in urgent need of our help. Jens has been incarcerated since 1986 for a crime he insists he did not commit, and during this time has distinguished himself as a model inmate and a prize-winning author of nine books. Now, over thirty years later, the chief investigator in his case, Chuck Reid, has gone on record stating he is convinced Jens is innocent, based on new evidence that became available this summer. And on November 5 an extensive documentary, "The Promise", premiered at the Virginia Film Festival, one which further strengthens the case for his exoneration. A petition for pardon was filed in August and is currently awaiting response from Virginia Governor Terry McAuliffe. But so far it appears that the Governor is hesitant to act based on some of the controversy that has been associated with this highly publicized case. Meanwhile a letter writing campaign has been launched, one that simply urges the Governor to carefully examine the new evidence and take an action before he leaves office. Those who write on his behalf are not expected to make a judgment regarding his guilt or innocence but to simply insist that his case gets a timely review by the current Governor. I post a lot of blogs on criminal justice, and this is yet another of those about which I feel very deeply. 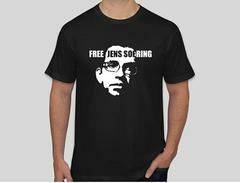 Jens has no history of any kind of violence in his past, and deserves at the very least to be repatriated to his native Germany, something for which his government has repeatedly petitioned. Governor Kaine actually granted this request in the closing days of his administration, only to have the incoming Bob McDonnell, in an unprecedented move, revoke his action. Please take time to familiarize yourself with Jens's story, using the links below, then send a letter to the Governor's office. Promptly.